Protect your business assets from fires with secure and safe C.H.I. Rolling Fire Doors. 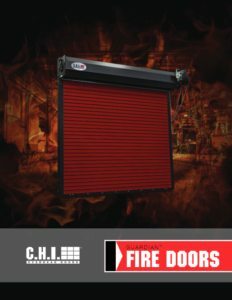 C.H.I.’s Rolling Steel Fire Doors come in a variety of ratings to meet the demands of owners and insurance underwriters. Click on the brochure below to find the model most suited to your needs.